MERE hours after scoring a scintillating half-century in Trinbago Knight Riders’ 100-run victory over St Lucia Stars in the Hero Caribbean Premier League (CPL), Denesh Ramdin and several of his team-mates engaged with members of three special needs schools in the third of a three-part Digicel youth cricket series. Yesterday’s event was held in conjunction with CPL, at Nelson Mandela Park, St Clair. 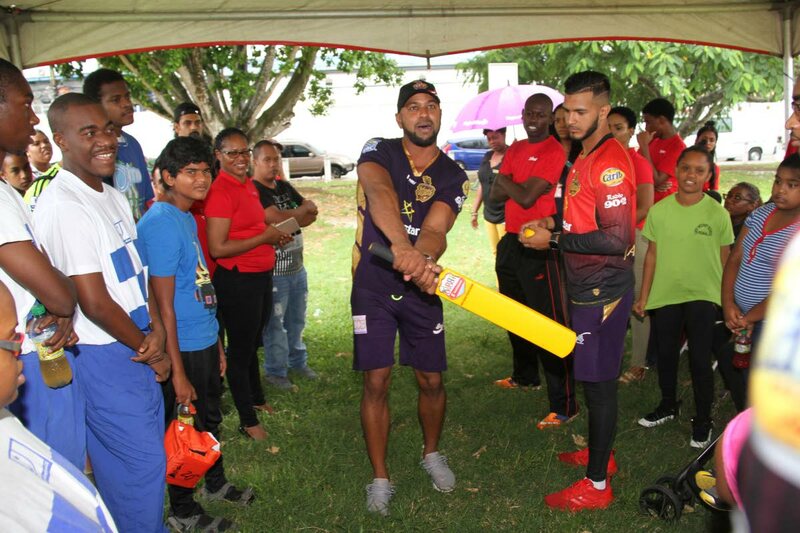 Ramdin, alongside Knight Riders assistant coach Imran Jan, and players Anderson Phillip and Amir Jangoo braved the heavy downpour to provide the special needs students with lessons in basic cricketing skills in batting, fielding and bowling. About three dozen children and adults attached to Goodwill Industries in Port-of-Spain, Lady Hochoy Home in Gasparillo and Penal, and the National Centre for Persons with Disabilities (NCPD) in San Fernando, were in attendance. 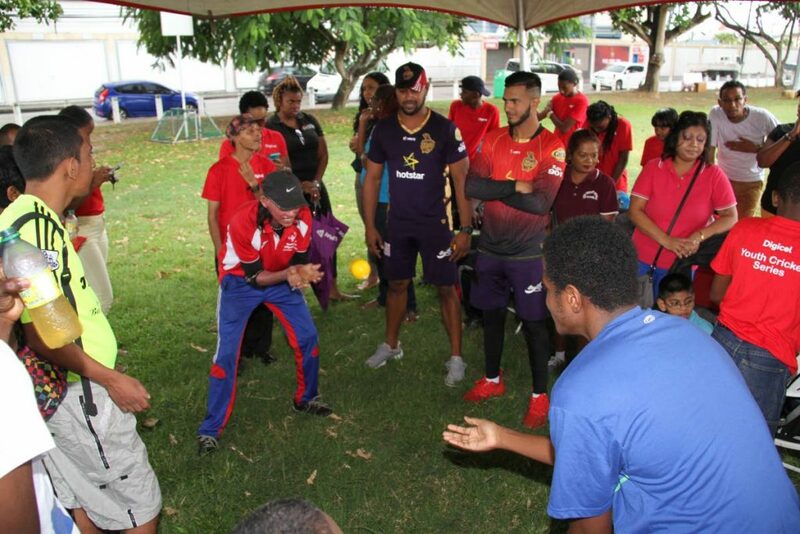 Reply to "CPL stars train special needs students at Digicel series"